Scenario: A P4000 Multi-Site SAN is initially set up as a Multi-Site Cluster across one iSCSI subnet, for a Campus SAN high availability scenario across a distance of not more than 250 metres. Subsequently, it is decided to move one half of the Multi-Site Cluster to a DR site 12km away, and re-IP the DR site storage systems. 2. Re-IP the storage systems in SITE02 (here using 10.10.2.101 and 10.10.2.102) in turn using the P4000 CMC. 2.1 Edit the TCP/IP Configuration. 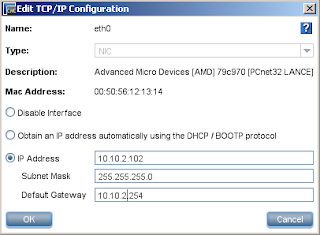 2.2 Accept OK twice to change the storage system's IP address. 2.3 Click Cancel twice to the 'Search Network' and 'Network Search Failed' prompts. 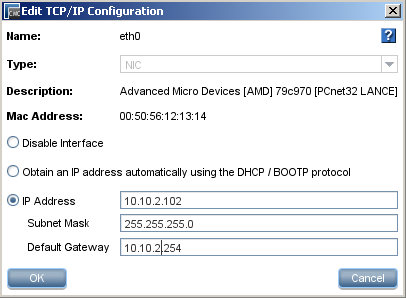 2.5 Close and reopen the CMC, and in 'Find Systems', update the List of IP addresses to search for. 2.6 Log back into the Management Group. 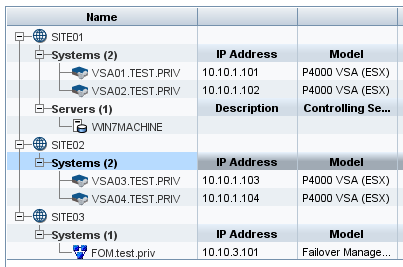 We will ignore the “VIP error: System is not reachable by any VIP in the cluster” for now. And repeat for additional storage systems. 3. 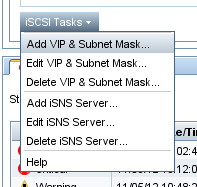 Finally select the Cluster > iSCSI tab > iSCSI Tasks > 'Add VIP & Subnet Mask...' > and create a second Virtual IP Address on the SITE02 subnet. 4. Then all that remains (if not done already) is to physically shut down the SITE02 Storage Systems, move them to the DR site, power back up and check connectivity is all okay. 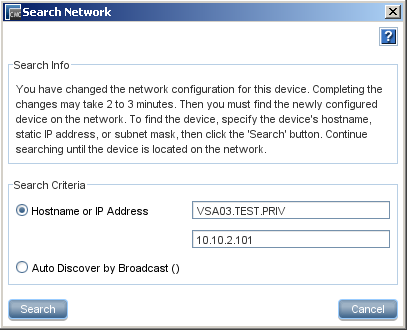 Note: Network RAID-10 (2-Way Mirror) volumes on a Multi-Site cluster remain available even when all storage systems in a site are down or unavailable. 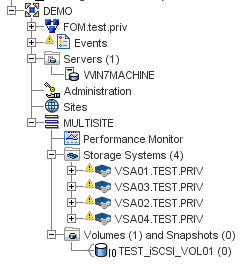 At no stage in this walk-through was access to volumes interrupted.